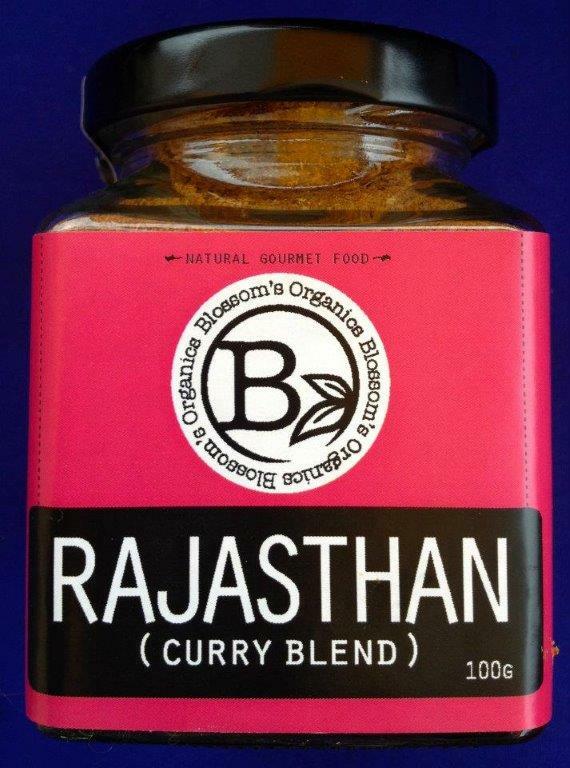 Rajasthan is a curry blend with no hot chilli. Excellent sprinkled on fried prawns with a dash of dried coconut or flaked almonds. Also a great snack sprinkled on sourdough bread and avocado or as a yummy yoghurt dip with 1/2 teaspoon to 1 cup yoghurt. Ingredients: Organic – Cumin, Coriander, Fennel, Ajwain, Paprika, Turmeric, Cardamom.